Harvey Mudd College in Claremont, Calif. 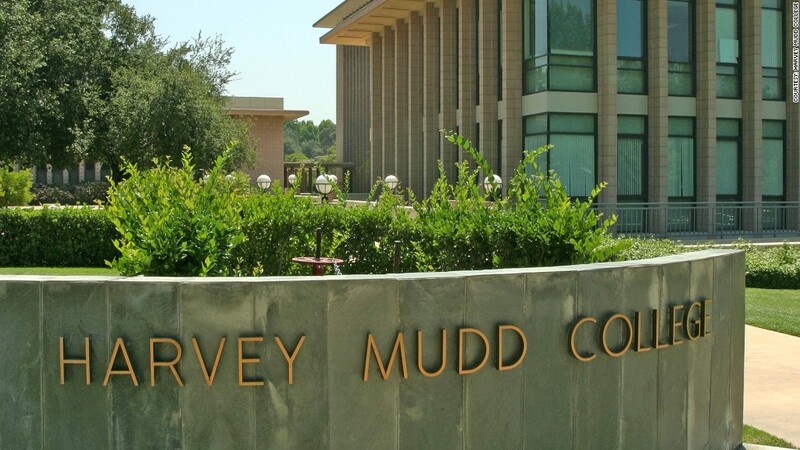 Located just outside of Los Angeles, Harvey Mudd is a highly selective school that enrolls less than 800 undergrads. The private liberal arts college specializes in science, medical and engineering studies, all among the most highly paid professions, according to Payscale. Related: Which college will land you the highest-paying job? One decade into their career, graduates from this college earn an average median salary of $143,000, far more than graduates of any other school in the nation. Source: PayScale.com. Data used in the College Salary Report came from surveys completed by roughly 1.4 million college graduates of 1,016 colleges and universities, which represent 75% of all bachelor's degree recipients in the U.S. Graduates with advanced degrees were excluded from the results. Only full-time, civilian workers based in the 50 states and District of Columbia were counted. Mid-career results were based on median salaries of graduates with 10 years of work experience. Whether a job is meaningful is based on the percentage of graduates who answered "Very much so" and "Yes" to the question: "Does your work make the world a better place?"